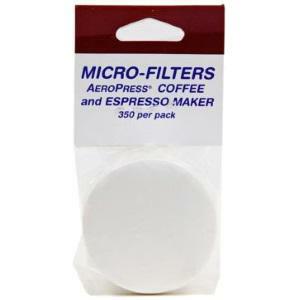 The Aerobie AeroPress coffee maker can uses filters to ensure that the coffee grinds are filtered from the brewed coffee. There are two types on offer the bleached version (which the AeroPress ships with) and the unbleached version. Whatever the filter remember to always pre-wet them for the best results.